This letter was written by Isey W. Cutbirth (1829-1902), the son of George Washington Cutbirth (1804-1880) and Sarah Foster (1804-1879) of Giles County, Tennessee. Isey, a yeoman farmer, was married to Elizabeth Jane Floyd (1832-1912) in March 1849. 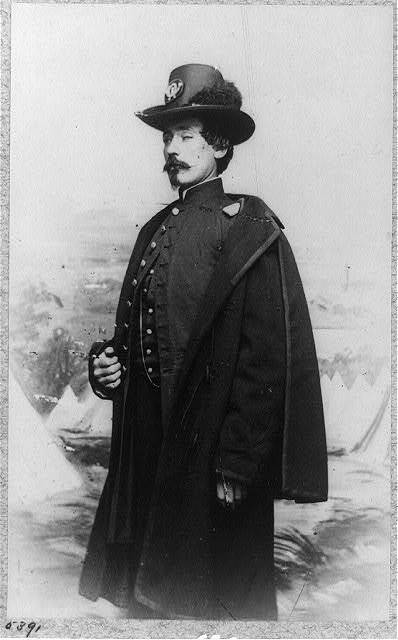 Isey was 33 years old when he enlisted in Co. H of the 5th Tennessee Cavalry at Columbia, Tennessee on 15 July 1862. Enlistment records state that he had blue eyes, red hair, a light complexion, and stood 5 feet ten inches tall. This will inform you that I am in here without money, friends, transportation, or any prospect to get myself or family away from here. My descriptive list was never given to my wife but given to Col. [Henry Rutgets] Mizner at Columbia [Tennessee] and my wife has never seen it and she has never drawn anything on it. I can’t get the military authority to take my case in consideration so it leaves me without power to do anything and I want you to do something if you please so that I can get back to Shelbyville with my family as quick as possible. The way things is now, my family has nothing to eat nor no way to get away from here. The cars don’t come here regular and I do not know what to do. The commander here — Lt. Col. G. W. Grummond ¹ — says that he cannot give me transportation on my leave of absence and if I got away from here I would have to hire a waggon and I have no money to get a waggon with and it would be a dangerous trip for me to start even by myself. Capt., if you can find out that you will go back to Columbia and could order me back there I could meet you there. I can’t do anything until I can get an answer from you. P. S. Tell Sam Morrow that G. Coffee and his family is here and well. A. J. McKizzids is here from Illinois and says that Kinch is well and will be here as soon as he gets his crop gathered which will be about 3 or 4 weeks from now. The Gibson boys and George and Dave is all out there and all well. 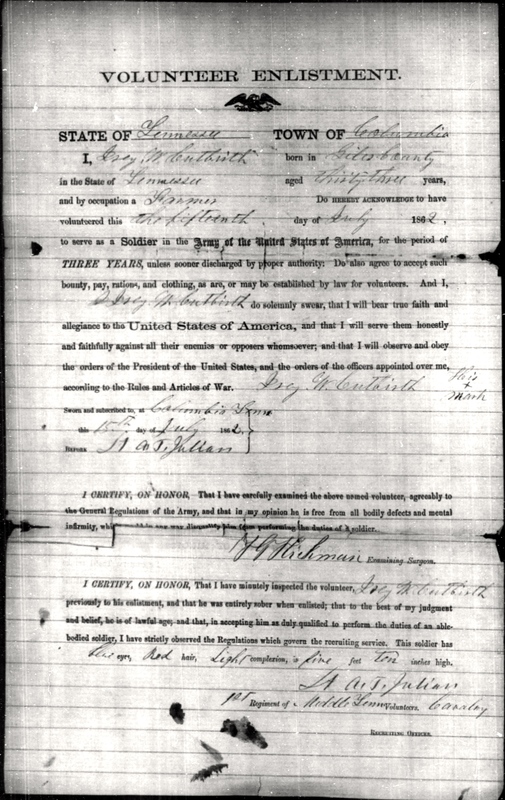 1863: John Tilbe, Jr. to John Tilbe, Sr.